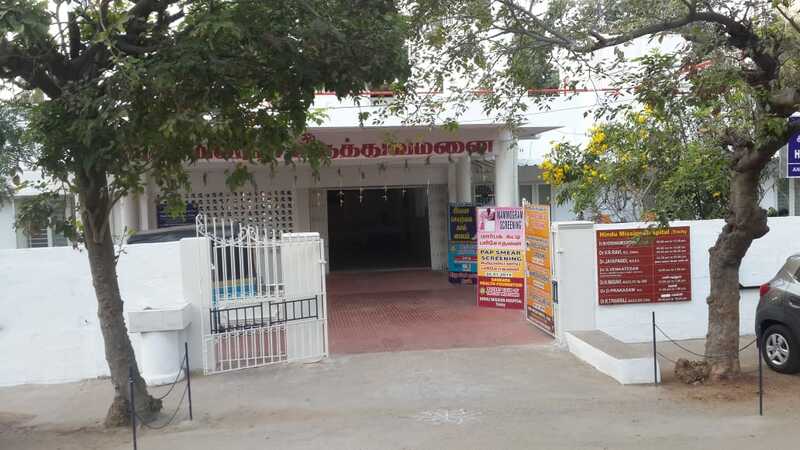 The Hindu Mission Hospital, established in 1985, is a registered charitable society running a twenty bedded hospital at Anna Nagar Tennur, Trichy. The eastern wing of the hospital was established in 1987 and the western wing was added in 1992. The institution was established with the mission to provide the members of the community high quality, affordable medical care. 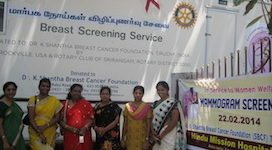 The hospital provides regular out patient service at the base hospital as well as regularly scheduled medical camps every weekend including eye camps for cataract and blindness prevention, a mammography and breast cancer screening camp, a cardiac camp and a prosthetic camp both in conjunction with HMH Tambaram. The hospital envisions a new ICU unit along with cardiology screening equipment including an echo machine, a mobile mammography unit, cervical cancer screening capabilities, and a new operating theater. The hospital maintains and improves its facilities through generous donations from philanthropists, other institutions, and patrons. For more information about HMH Trichy, please visit the health services webpage. We need your generous donations to continue providing quality medical services to those in need.